Ooey-gooey, crunchy, sticky and sweet, Classic Southern Pecan Pie is one of my all-time favorite desserts! Perfect for Thanksgiving, BBQ’s, Pi Day or any day in between! It’s Pi Day! Happy March 14th everybody! This is one of my favorite unofficial holidays of the year because it’s celebrated with my favorite form of dessert – PIE! A few years back we were invited to a pie party with a bunch of friends where everybody brought a pie to share. Judging was involved and there were pie related prizes (like pie guards or a pastry scraper, that sort of thing) and it was so much fun! Way more fun than we had anticipated. So the next year, when we were living in a new house in a new city and still didn’t know many people yet, we decided we would just have to start hosting a Pi Day Pie Party ourselves, and we’ve been doing it ever since. 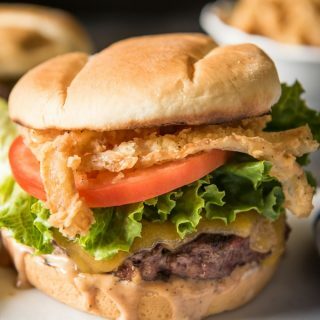 It’s one of our favorite get-togethers because it’s so low key and everybody loves it. And everybody gets to try lots and lots of different types of pies. Last year we had over a dozen pies. It’s a skip dinner, just eat dessert kind of a night and categories for prizes are usually “best crust”, “best filling”, and “most likely to bring about world peace”, which is the overall winner category. The first year we hosted, my friend Christina brought her Blueberry Sour Cream Custard pie and it won the world peace award. It’s SO good and has become something of a legend among our acquaintances and my go-to Easter dessert. 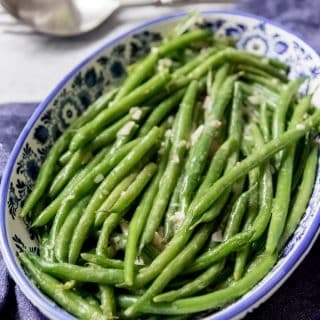 It was even one of the earliest recipes I posted about on the blog, which is saying something about it in its own right! But today I wanted to post about a pie that is near and dear to my heart – a classic southern pecan pie! Oh man, I love this pie. It’s one of my dad’s favorites (besides apple, but it seems like that is everybody’s favorite, isn’t it?) and I think about that every time I make it because he and I are the ones in our family who cannot resist pecan pie. Especially with a scoop of vanilla ice cream melting over a big slice of it. You do not have to be Southern to appreciate the buttery, caramel, toffee-like filling that is packed with chopped pecan pieces or the flaky, crumbly crust. 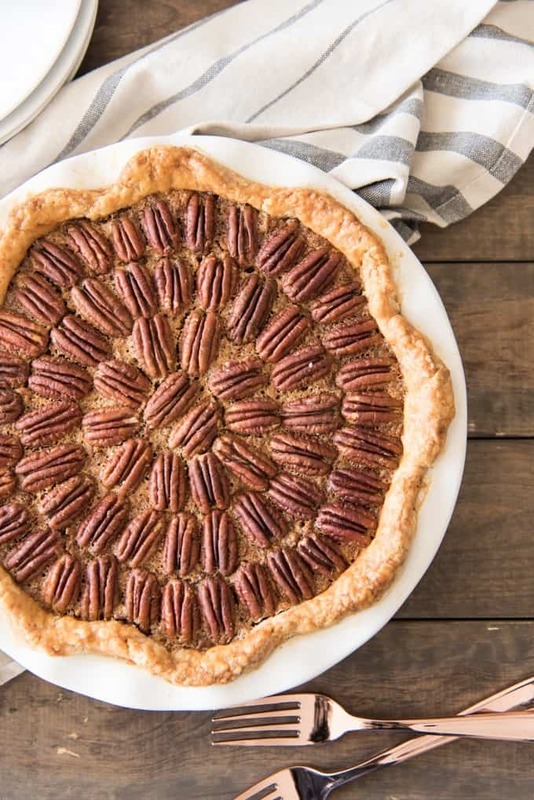 I get a kick out of arranging whole pecans over the top of the pie in concentric circles, but you can chop all the nuts if you feel like it. I like to think that my pecan pie has just the right amount of sweetness so that it doesn’t become so sweet that you lose the actual hero of the pie which is the pecan flavor, which has a sweetness all its own anyway. And oh heavens, the way this pie makes your kitchen smell is just amazing. 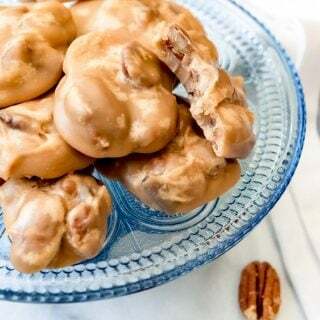 All the pecans and butter and sugar baking together create the most unbelievable aroma you can imagine and your whole house will smell so good! It’s why I have a super hard time waiting for the pie to cool completely before cutting into it. I don’t care whether you pronounce it peh-cahn or pee-can, either way this pie is delicious and definitely a worthy offering for your Pi Day party or Thanksgiving table. And being a traditionally Southern dish, it is the perfect thing to serve with BBQ. Tell me what pie you are making for Pi Day! 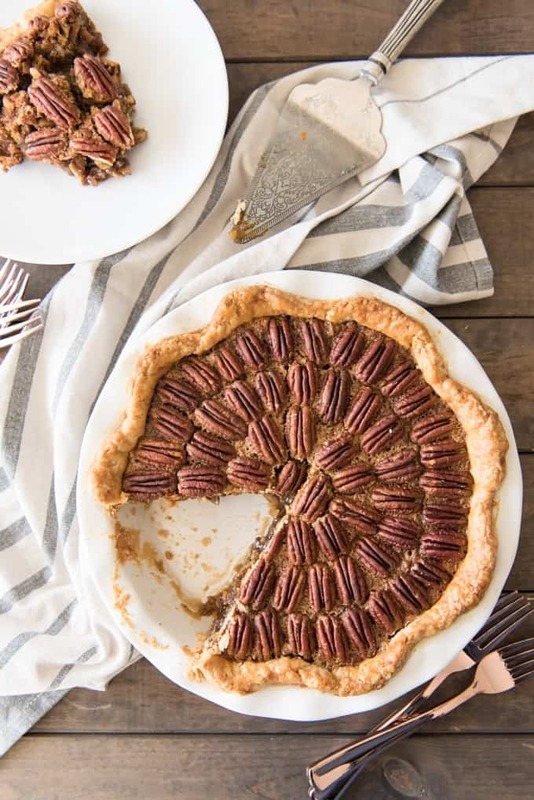 And don’t forget to pin this classic southern pecan pie for later! Ooey-gooey, crunchy, sticky and sweet, Classic Southern Pecan Pie is one of my all-time favorite desserts! Perfect for Thanksgiving, BBQ's, Pi Day or any day in between! Prepare pie crust. Roll it out and line a pie dish with it. In a large bowl, whisk together the eggs, sugar, corn syrup, cornstarch, vanilla, salt, cinnamon and butter. Pour chopped pecans into the unbaked pie crust. Pour the egg mixture over the chopped pecans, which will rise to the surface. 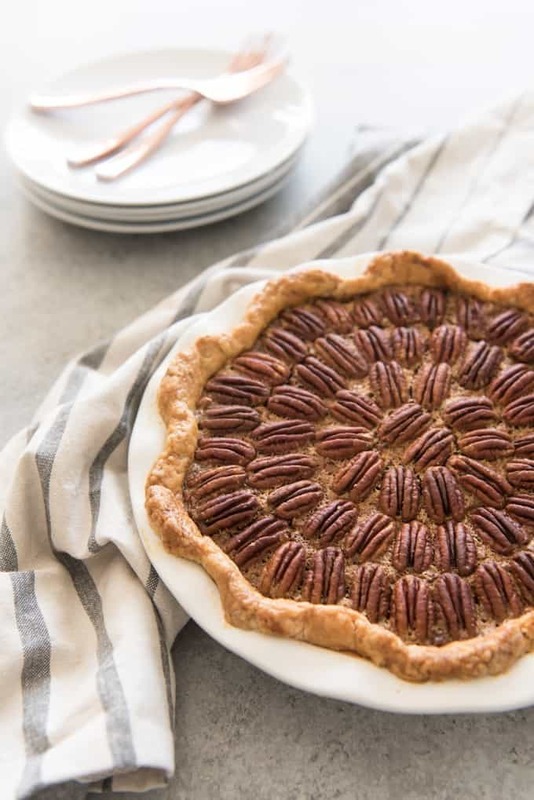 Gently lay the whole pecans around the top of the pie in a decorative pattern (or chop them all up and do the whole pie with chopped pecans if you don't want to bother with making it look fancy. Bake the pie for 50-60 minutes, or until just set but slightly wobbly in the center still. Cool completely before slicing. 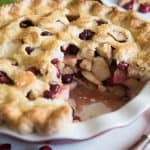 I always use this pie crust recipe when making pies - it turns out amazing every time! I love your pie Amy, I would be making it very soon. Is there a substitute for corn syrup? I absolutely love pecan pie and make several every year. I grew up picking pecans up off the ground as they would fall. 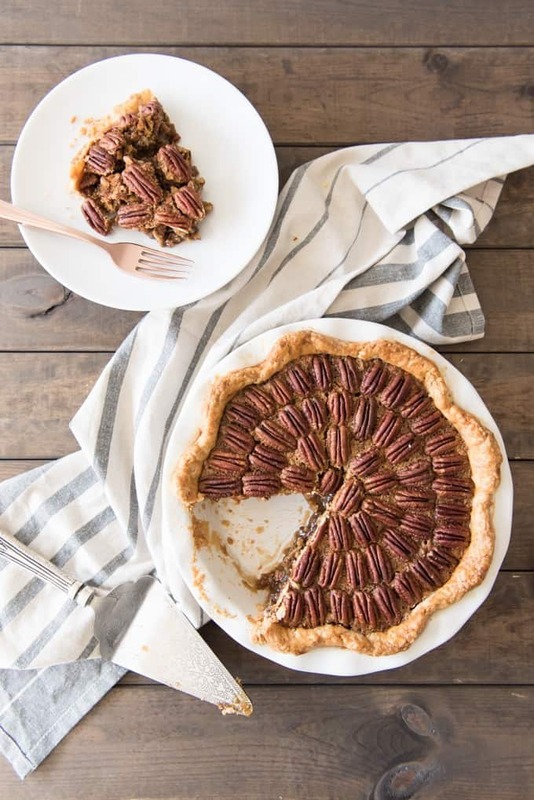 Pecan pie is my husband’s absolute favourite, but he isn’t much of a sweet tooth and I am not much of a pie person!! So, I make a pecan pie once every blue moon. May be time to whip up another. You can never go wrong with this awesome classic pie. 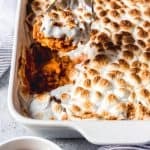 It looks divine…and makes me want to bake one up this weekend. Always time for a great piece of pie!! That crust looks fantastic, Amy! You are the pie-queen! 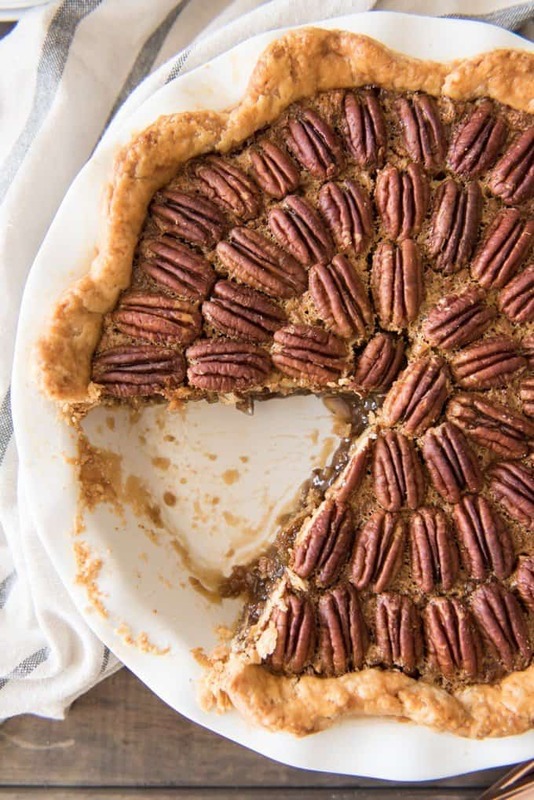 I’m not a big fan of pies but I’m a BIG fan of pecans and I love the fact that you have overloaded the pie with pccans. Yum. I’ve never made a pecan pie. I really need to correct this missing detail in my life and your recipe looks just gorgeous. This looks so pretty! Pecan pie is my husband’s favorite, I don’t think I’ve ever put cinnamon in though, I’ll have to try that. A pie party sounds like so much fun also! Your pie looks gorgeous and hearty…. 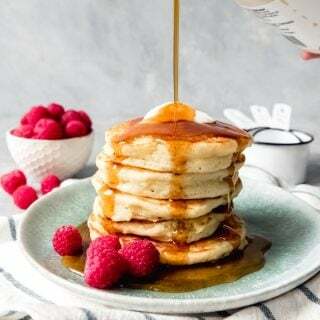 Love it Amy.. Can İ substitute corn syrup with honey? I have never tried using honey as a sub for corn syrup so I can’t say. 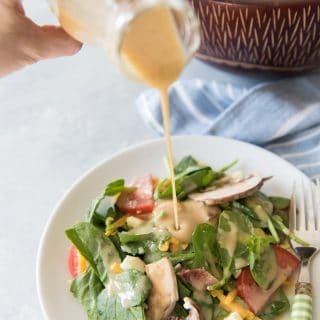 My understanding is that it wouldn’t be a perfect substitute because while it would work for sweetness I think that corn syrup adds a textural element that honey doesn’t, but like I said, I’m not speaking from experience on that one. If you try it, let me know! 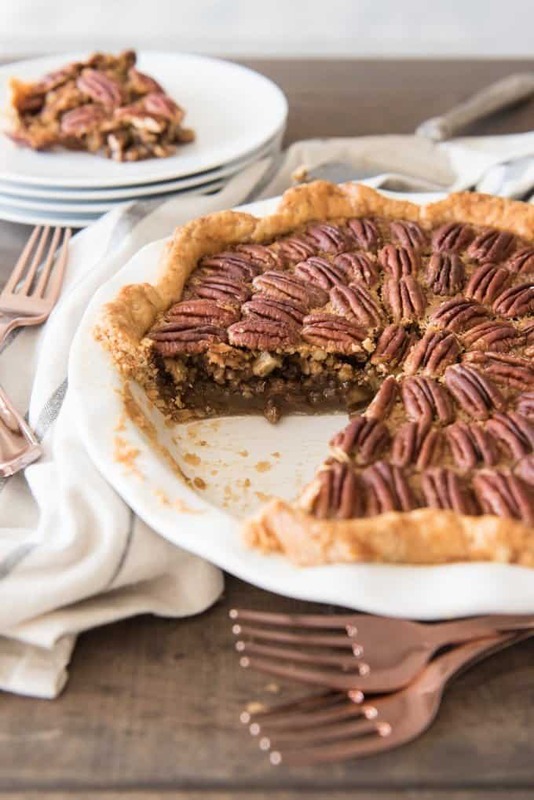 There is nothing better than a slice of homemade pecan pie. Yous is absolutely beautiful. Thanks for sharing! Hosting a Pi Day party sounds like a lot of fun Amy. I’m definitely going to need to give it a try next year. Oh. . .and this pie!!!! I absolutely love pecans (you can often find me noshing away on them) so of course it was love at first sight when I saw this beauty. P.S . definitely checking out Christina’s Blueberry Custard Pie because any pie that can bring world peace is an A-OK pie in my eyes..
What a fantastic idea to have a Pi Day pie party! I’m guessing you’ve made a lot of friends this way. And of course, there’s always pie, which is #1 for me in any food category. Beautiful! And pinned. 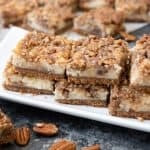 My husband loves pecan pie and I make it all the time. 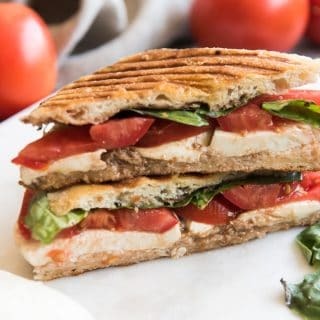 Your recipe is spot on so I know it has to be delicious! Thanks for sharing. I’ve never been a huge pecan pie fan, but my family loves it! I’ll have to keep this recipe stashed away so I can impress them! 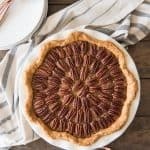 The southern pecan pie is such a classic and one of my favorites! 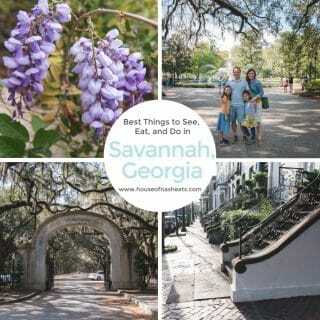 Great recipe and photographs! Amy, your photos got me craving this pie at 12:06am. It looks so good! I love the pecan pie! I also love the pecan pattern. Just perfect! I will be pinning this one to my southern board. Thanks for sharing! 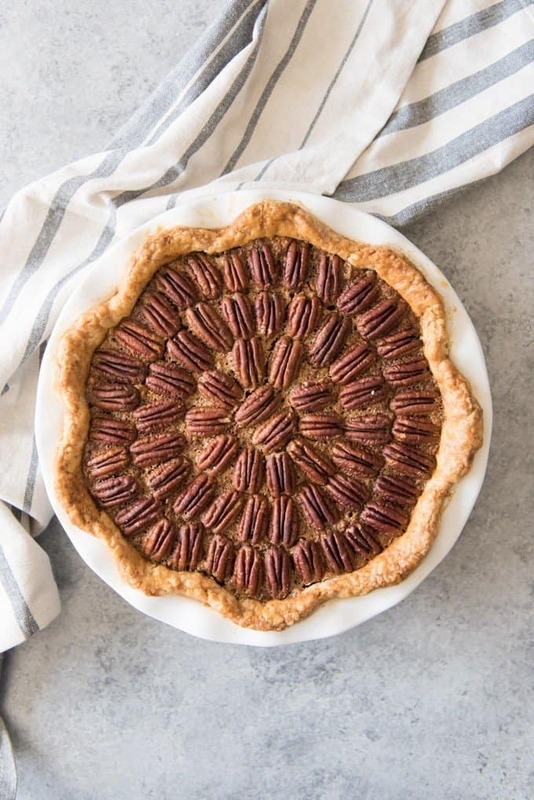 This is one of the most beautiful pecan pies I’ve seen! What a great presentation! I love the idea of multiple pies for dinner! What a fun tradition you have started! I never tried pecan pie before but seeing your post, It made me think why I didn’t. Now I love to try pecan for tomorrow’s dessert. Thanks for sharing. This is my dad’s favorite pie of all time! 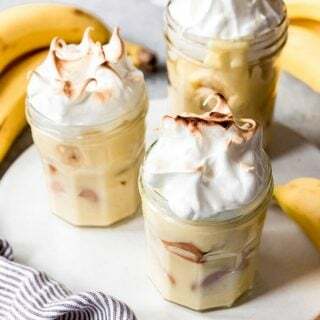 I’ll have to make this for him sometime! Thinking of making this for thanksgiving. What size and type of pie pan do you use? Thank you! It’s just a standard-size pie pan. I think that’s 9 inches in diameter and 1 1/4 inches deep.